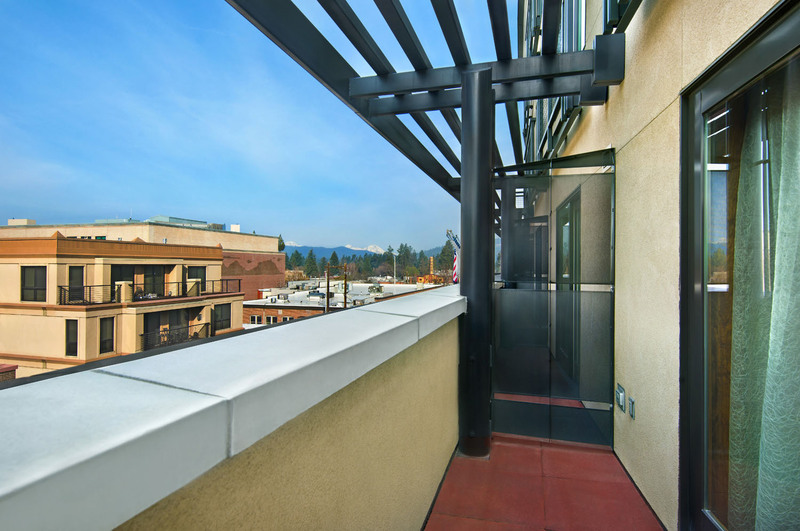 The OXFORD hotel guest suites are designed for all guests, including those with accessible needs. 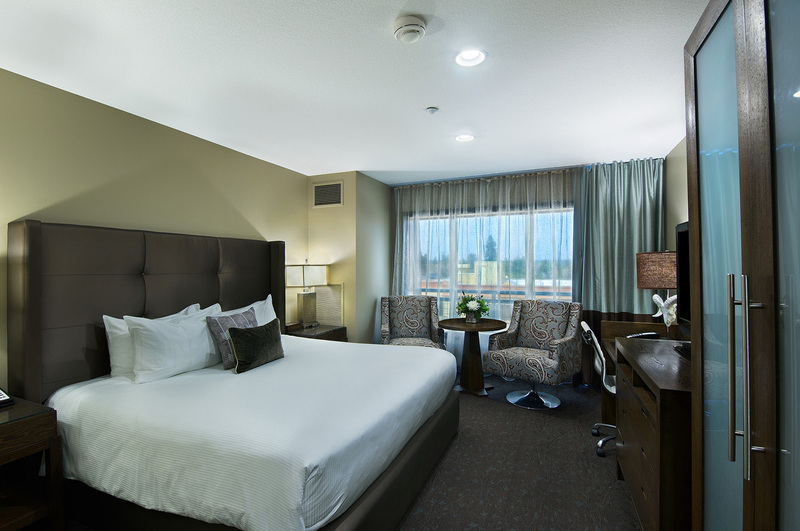 Our ADA-compliant rooms make accessibility easier for those guests who require additional assistance. 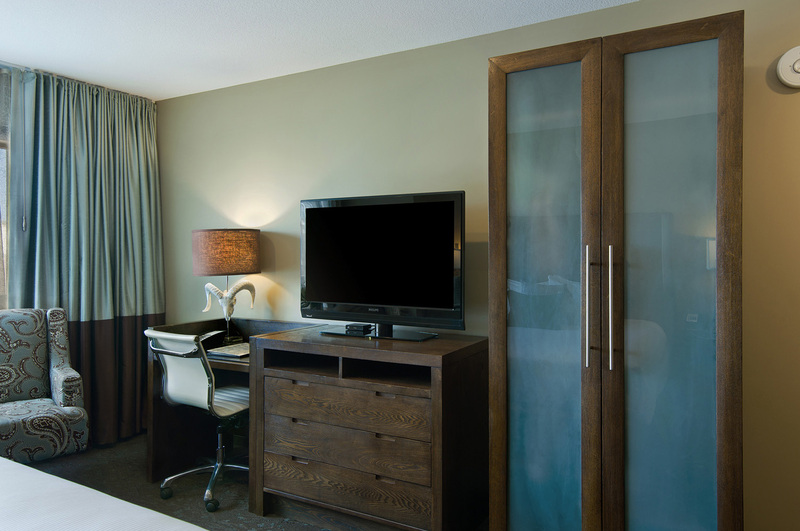 Maneuver with confidence in our Accessible room! 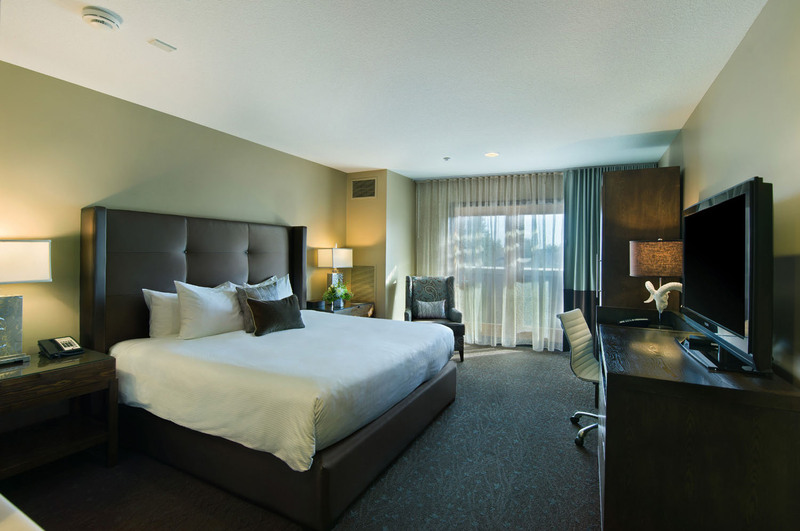 Our king bed, constructed from sustainable, organic components with 320 thread count sheets, a 67 oz. 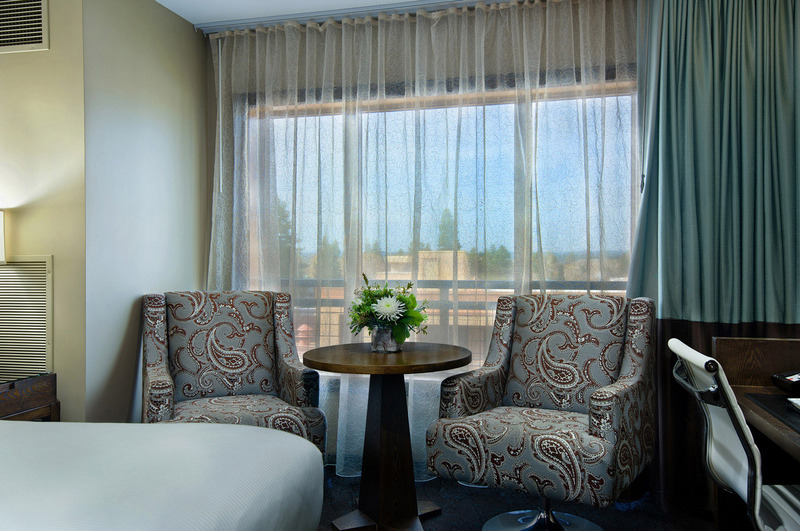 duvet with European sheeting, and a specialty pillow menu offers a relaxing respite from your daily activities. You’ll awaken to the aroma of our freshly ground coffee, brewed in our french press, or choose from our selection of organic teas. The executive work station provides comfortable seating and desk space; in addition, the flat screen TV with a Smart Panel allows guests to plug in an external device and enjoy the playback of the content on the TV. 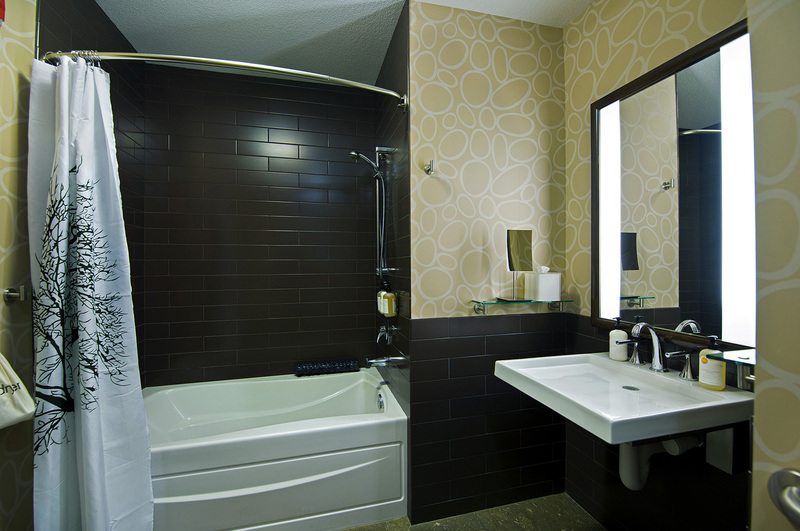 The luxurious bathroom offers a tub and shower, grab bars, organic bath products, plush bathrobes, and specialty soap menu. Accessibility kit available upon request. 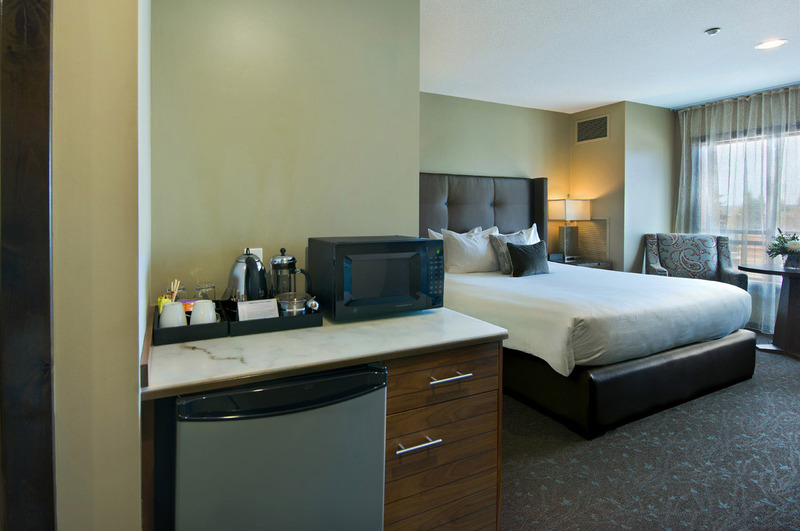 All the comforts of our Boutique King plus a roll in shower. 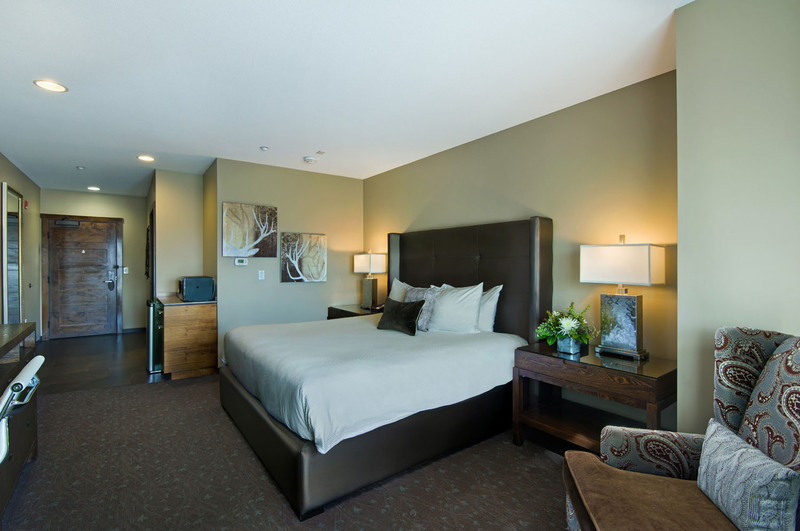 This delightful room featuring a king bed constructed from sustainable, organic components with 320 thread count sheets, a 67 oz. duvet with European sheeting, and a specialty pillow menu. Bask in the aroma of our freshly ground coffee, brewed in our french press, or choose from our selection of organic teas. 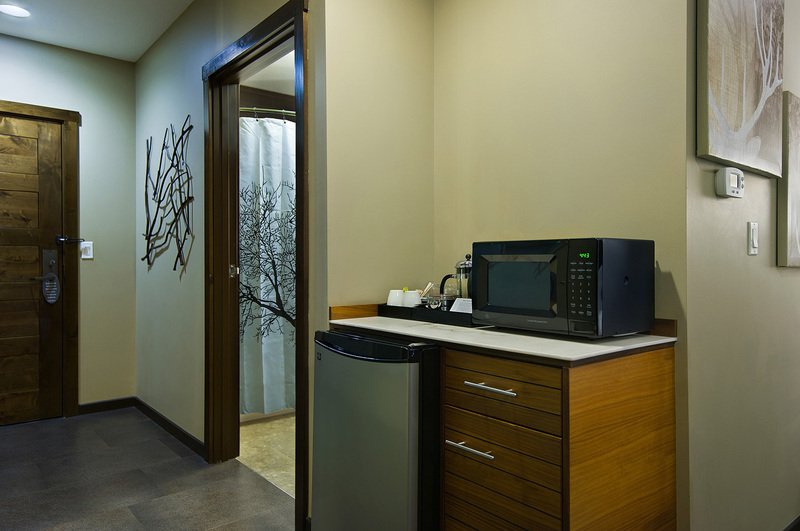 The executive work station provides comfortable seating and desk space; in addition, the flat screen TV with a Smart Panel allows guests to plug in an external device and enjoy the playback of the content on the TV. 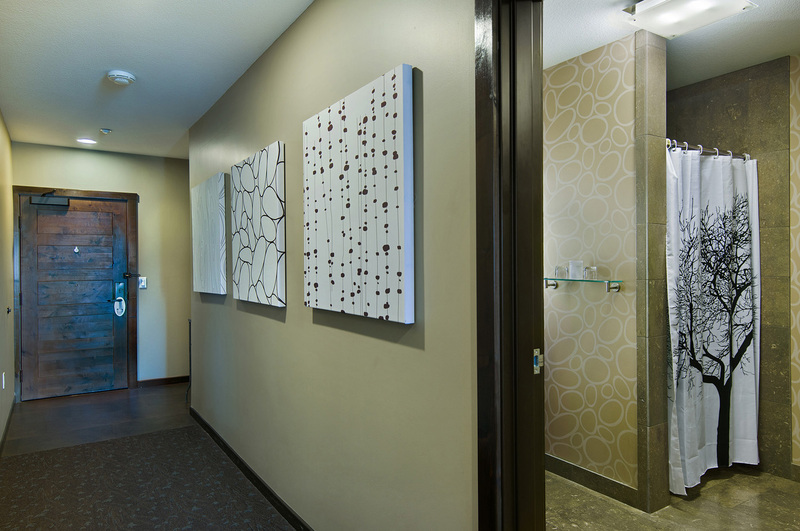 The luxurious bathroom offers a roll in shower, organic bath products, plush bathrobes, and specialty soap menu. Accessibility kit available upon request. 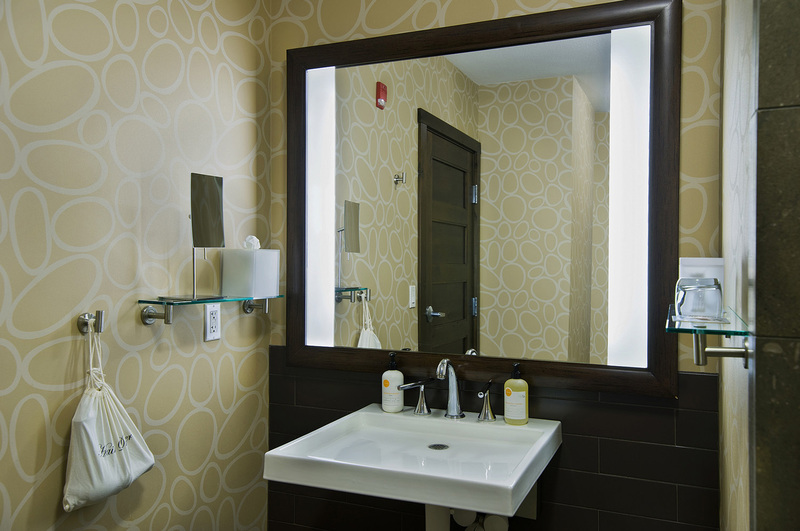 Guests of The Oxford Hotel Bend stay in an ADA-compliant room equipped to help guests with a variety of unique needs. 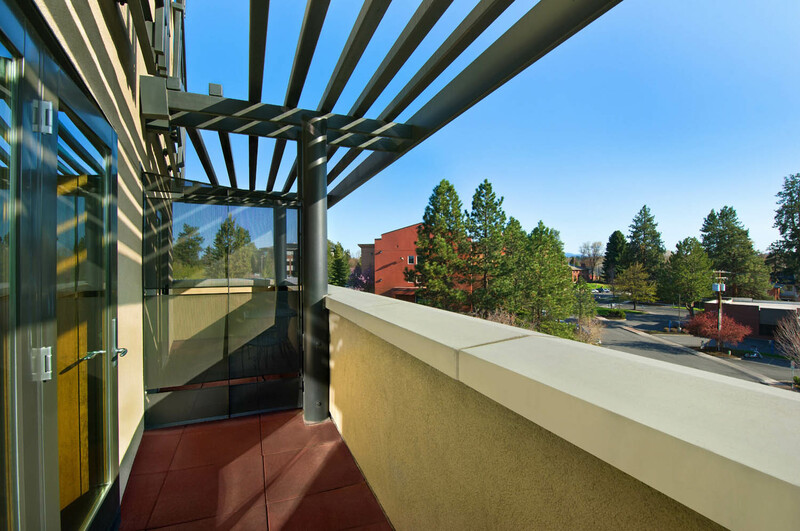 Our fire alarm system includes an emergency strobe light and a strobe-light smoke detector. 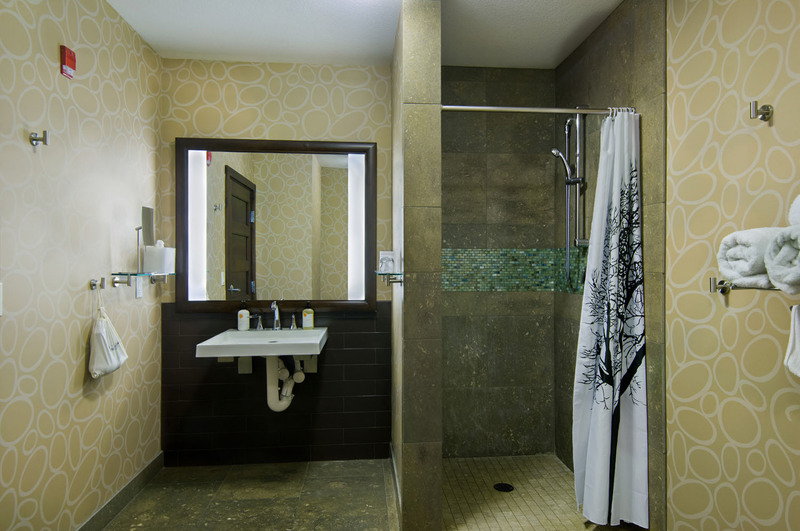 Bathroom grab bars, a raised toilet seat, accessible shower, and other features make our rooms accommodating for all guests. If you have any questions about the accessibility of our hotel, please contact us. For website accessibility, please refer to our web accessibility statement.